Students in Michigan Technical University‘s Chemical Engineering Program have developed a cheaper substitute for conventional carbon capturing methods at power plants. Their proprietary liquid is capable of negating 50% of all CO2 emissions emitted by smokestacks, offering an economically viable alternative to the expensive processing methods of other carbon scrubbers. Companies will be much more inclined to adopt this inexpensive alternative to current carbon capture technology. The liquid’s byproduct material is an added incentive, and could prove to be a practical way to pay off the initial investment. The students are currently seeking a patent for their discovery, and hope to partner with Carbontec Energy Corporation to further develop their work. Good for them. But, since all of this research was funded by public money (MTU is a public school, yes? ), why should they be allowed to file for a patent? The result should belong to the people of Michigan, not the university. 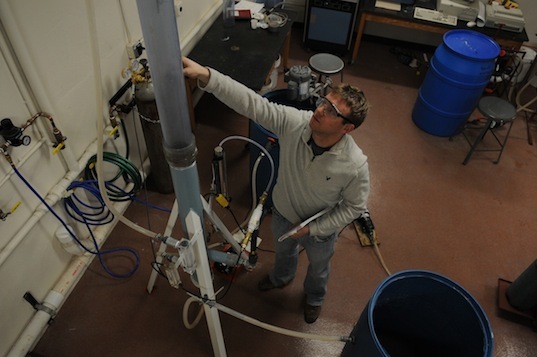 Students in Michigan Technical University's Chemical Engineering Program have developed a cheaper substitute for conventional carbon capturing methods at power plants. 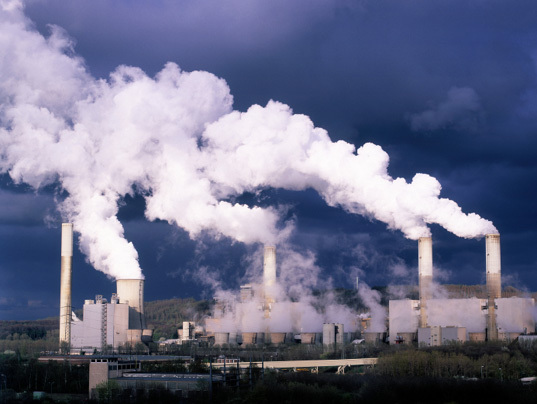 Their proprietary liquid is capable of negating 50% of all CO2 emissions emitted by smokestacks, offering an economically viable alternative to the expensive processing methods of other carbon scrubbers.